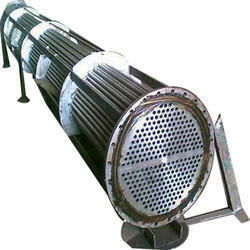 We are the manufacturer of Shell Heat Exchanger. 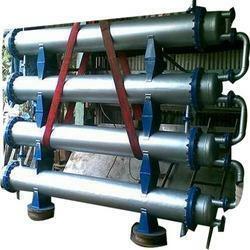 These tube shell heat exchanger is of superlative quality and is highly strong, durable, tensile long lasting product. Our tube shell heat exchanger is available in the competitive price range and is exported to various clients around the world. 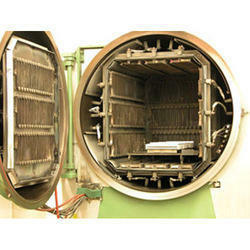 We also specialize in manufacturing and exporting technically advanced range of Vacuum Heat Exchanger. Making use of high-quality raw material and advanced machines, these are manufactured in strict adherence to set industry standards. Moreover, to meet the specific needs and demands of the clients, these products are also manufactured with custom designs and specifications. Offered at industry leading prices, our range is widely demanded and acclaimed due to following attributes. Our technical expertise enables us in providing the durable and robust array of Modular Heat Exchanger, which is manufactured using quality tested raw material. 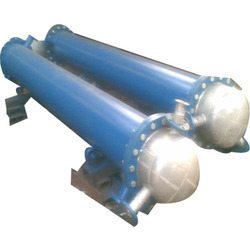 Designed and developed as per industry defined parameters, these exchangers can also be customized to meet the application specific requirements of the clients. Due to their compact designs, high-level efficiency, low energy costs, longer service life and a host of other attributes, these products are extensively used and acclaimed by our global clients. Acknowledged for their high performance, sturdy construction, low maintenance and a host of other characteristics, our range of Thermal Fluid Heat Exchanger is extensively used in a multitude of industries to maintain optimum temperature in the heating room. Adhering to latest industry standards, these are designed with utmost perfection using quality tested raw material and high-tech machines. Available in different sizes and designs, these exchangers are offered at cost effective prices.